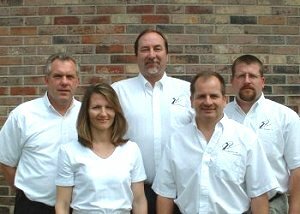 Z TECH SERVICES, INC., was established in 1993 and serves Illinois, Kentucky, Indiana, Michigan, Wisconsin, Iowa, Missouri, Kansas, and Nebraska with a sales staff that combines experience and technical ability to provide our clients an efficient and effective sales call. Put Z Tech to work for you today! 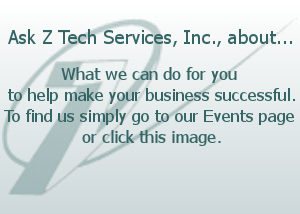 Z Tech is committed to providing optimal service to electronic production equipment manufacturers. Z Tech's dedicated staff goes beyond door-to-door sales and has been praised for efficient, professional salesmanship. Z Tech, by extending service and by offering both demonstration and training opportunities, offers its principals a true extension of its sales force in a fashion not available from mainstream representatives.